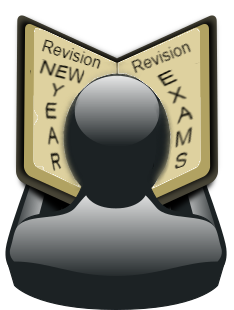 Doing revision over Christmas is about being realistic and not setting to high an expectation of yourself. If Christmas Day is a big family occasion for you every year and you know you’re probably not going to find a minute to yourself- write Christmas off as a revision-free day, but make sure you do extra work on Christmas Eve or on St Stephen’s Day to make up for it. Similarly, if you have a big drinking session planned, you know you’re not going to want to revise Nanocomposites of Cardiovascular Implants with a bad hangover. Christmas time is a time when a lot of us forget about healthy food and feast on junk food while we stay up late watching Christmas TV. What we eat and how much sleep we get has a big impact on our capacity to take in information, so make sure you’re well rested and well fed when you sit down at your desk this Christmas. Replace sugary energy drinks and caffeine with water and see the results come exam day. After you’ve put all the unmissable social events into your calendar, along with The Late Late Toy Show, devise a realistic revision schedule around them. Remember to leave some space for hangovers and ChristmasTV. Make it standout with festive colors and even a bit of tinsel so you can’t ignore it.